Louise Brown couldn’t have known it but she made history when she was born in 1978. Her birth marked the beginning of a new baby boom that is gaining momentum every year. Louise was the world’s first child born as a result of in vitro fertilization (IVF). Known as the world’s first test-tube baby, Louise was born in Oldham, England, to parents who had tried for nine years to conceive a child. Complications from her mother’s blocked fallopian tubes made conception impossible. There are now approximately 5 million children around the world who are the result of assisted reproduction techniques of one kind or another. These babies and the techniques responsible for their births were the topic of much conversation at the October 2013 annual meeting in Boston of the American Society for Reproductive Medicine and the International Federation of Fertility Societies. In the US, about 60,000 babies each year are conceived via assisted reproductive techniques. That’s about 1 percent of all babies conceived in the US each year. IVF babies in China may number as many as 200,000 each year. A single IVF treatment in the US typically costs between $12,000 and $17,000. Once considered morally scandalous, 88 percent of Americans now consider IVF an acceptable method for making babies. 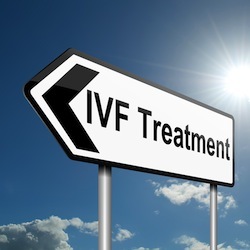 74 nations submitted official IVF reports for the study presented at the Boston meeting. From the time Louise Brown was born in 1978 until 1990, there were 89,000 to 95,000 children around the world born as a result of IVF treatments. By 2000, an additional 887,000 to 999,000 such births occurred. By 2007, 2.2 million to 2.4 million additional children had been born as a result of IVF. Birth numbers are presented as ranges because disclosure requirements vary from country to country. Some countries supplied data that had gaps that omitted data from year to year. China is thought to be the world leader in children born from assisted reproduction techniques but it supplies no such data to the outside world. For decades, China has had an official policy that allowed only one child per family, a policy that might make IVF seem unnecessary at first glance. The Chinese culture, however, is based strongly on the value of family and ancestry. Infertile couples who can afford it embrace IVF as a way to honor their ancestors, their cultural heritage, and their country. Assisted reproduction techniques addressed by this study include IVF, egg donation, egg freezing, and surrogacy. Fertility drugs used without IVF treatment and artificial insemination were not included. Source: "Five Million Babies Born with Help of Assisted Reproductive Technologies." American Society for Reproductive Medicine. 14 Oct 2013. Web. Retrieved 8 Nov 2013.